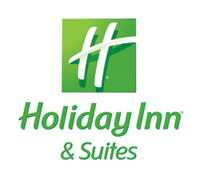 This weeks Small Business Spotlight is on Holiday Inn Harbourside. This hotel is located on Indian Rocks Beach in Florida and is owned by Decade Properties, who also owns the Clearwater Beach Holiday Inn and Chart House Suites ACF redesigned their hotel website and currently provides IT and wireless internet services to them. You can view the Holiday Inn Harbourside website here. We are a full service resort and conference center. You can visit our website for a great hotel overview. We have been a Holiday Inn for 15 years now! We get to work with tourists and help guests enjoy their stay on Indian Rocks Beach daily. Email blasts, phone, fax, personal visits. Currently, the economy and the threat of the oil spill are really hurting tourism in general. We offer so much more with 2 pools, 3 outdoor bars, nightly entertainment, game room, fitness center and 18 hole Putt-Putt course. The internet based third party websites. People shop online now and look for the best value for their buck! We want to increase our leisure business and local corporate base. For any ACF clients we will offer rates of $79 for an islander guest room with two-queen beds - valid now-December 2010.